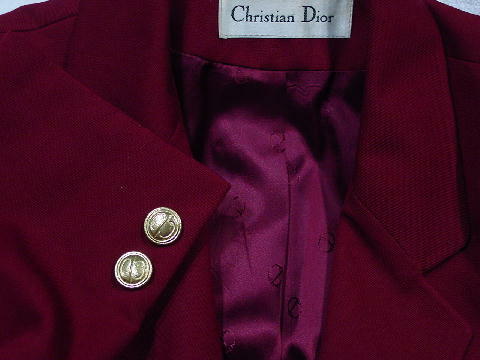 This vintage burgundy Dior jacket has three gold-tone logo buttons down the front and two on each long sleeve. There is no fabric content tag. 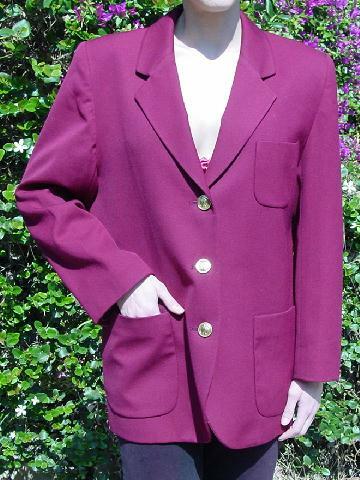 It has a great wine color logo lining. There is a small thread pull to the right of the center buttonhole. 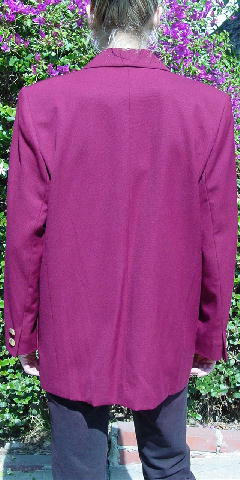 There is one open left breast pocket and 2 large lower front pockets. The tag says it's size 8, but it fits like a size Large (or a size 12/14). It has classic styling and great color. She wore it when she was a size 14, but she's a little "fuller" now and doesn't plan on changing. side to side at bottom hem 20 1/2"